Universally blamed for the death of his wife and unborn child, Simon Hastings doesn’t dispute his guilt over an accident he cannot even remember. He hasn’t had a drink since, nor a moment’s peace. Determined to be a better man, Simon rescues a young woman in need - only to be accused of kidnapping. They must marry to save him from prison. But how can a man haunted by the love he lost and a woman afraid to get too close find happiness together? The Duke of Ruin was a great story. I sort of fell in love with Simon in bk7 "The Duke of Ice" when he is first introduced as a character. Simon Hasting 12th Duke of Romsey is a pariah in the world of the Ton. Simon is ostracized because people believe he pushed his pregnant wife down a flight of stairs causing her death. Simon can't remember anything except holding her at the bottom of the stairs and pleading with her not to die. So of course the dim witted members of the Ton believe the rumors. They treat Simon horribly. But hiis best friend Nick The Duke of Ice sticks by his side and they keep there friendship close. You know from bk 7 that it is impossible for Simon to have murdered his wife. He is just written so beautifully and he is so kind and compassionate. 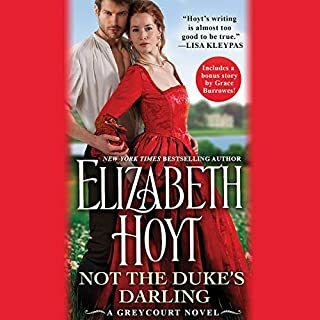 When Nick decides in bk 7 "The Duke of Ice" to marry the love if his life Violet after he has made a dumb decision to marry Diana Kingman. Simon helps him out by going to Diana and telling her that Nick is marrying Violet and not her. He and Diana run away to hide her from the scandal of being jilted by Nick and the wrath of her father. Over the next 2 weeks journey to her cousins house the two get to know each other well and they fall into a kindly companionship which by the end of the story has turned into a great love. I loved the way the author grows the relationship between Simon and Diana. Its a constant slow burn!! Just beautifully written. We do find out what really happened to Simons wife. 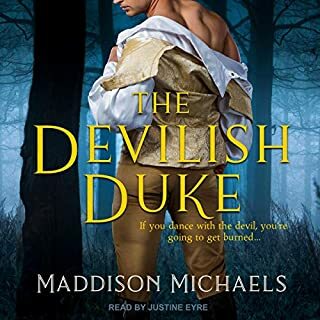 I really enjoyed reading "The Duke of Ruin" and now I have to wait 4 days before The Duke of Lies is released. I Highly Recommend The Untouchables series. My favorite #1 author strikes again, I believe this is my second favorite book! Thank you! !